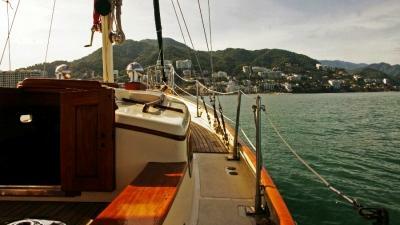 Soak up the sun and indulge in the sights aboard our luxurious 45-foot ketch sailboat, Ada! You'll sail in comfort, enjoying our first-class signature service and 100+ years of expertise from our friendly, bilingual crew. Choose from any of our nine private or public charter tours, each with customizable activities, signature flavors and unforgettable experiences. We invite you to relax, discover and reconnect today with Ada Sailing!